The third of eight teasers which will be released weekly until the first page is posted (August), introducing old and new characters. "Geist is a mellow black lion around twenty-eight years old and is temporarily living with Sunkra until he can rent or purchase his own place again. Recently had to move because his previous apartment building was being torn down to make room for a new structure. He works as a sports & fitness coach for a nudist resort near the coast. 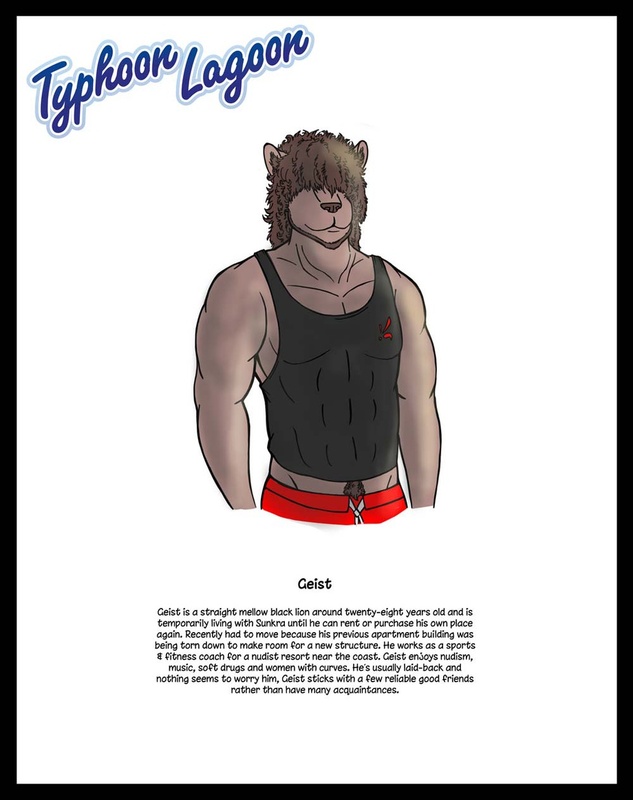 Geist enjoys nudism, music, soft drugs and women with curves. He’s usually laid-back and nothing seems to worry him, Geist sticks with a few reliable good friends rather than have many acquaintances."